Oded Oren, the israeli chef well known for hosting pop-ups around the capital, is doing a short residency at the Brewery Below space under Borough Wines & Beers in Essex Road N1. It's a 5 course menui including such treats as grilled​ ​squid​ ​pita​ ​with​ ​warm​ ​chickpeas​ ​and​ ​tahini, with tickets from £42. The residency runs from Thursday 12th to Saturday 21st October, Thursday to Saturday only, and the first Friday has sold out already - go book your tickets! 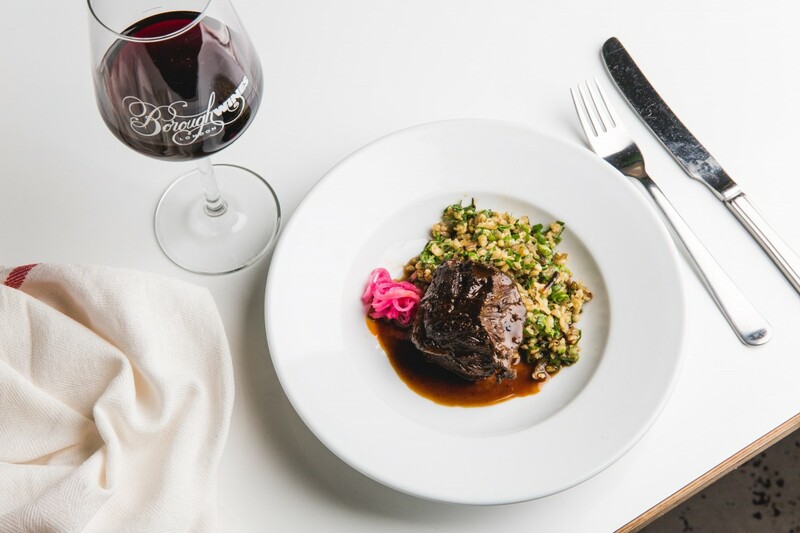 "​Borough Wines & Beers will continue its Chef Development Series in October, with a Mediterranean-inspired pop-up from celebrated chef Oded​ ​Oren​. Oded Oren’s pop-up is the fourth event in Borough Wines & Beers’ Chef Development Series. It follows two Japanese-inspired pop-ups by YBFs 2015 winner Adam​ ​Rawson​ earlier this year and fodder​, the foraging focussed pop-up from ex Fera at Claridges chefs Michael Thompson and Ollie Downey. Oren began cooking in his home town Tel Aviv and moved to London in 2011. In the past few years he has hosted several pop-ups and residencies in London, preparing for the launch of his own restaurant in 2018. He has recently received a lot of attention, especially during his six-month residency at South East London restaurant Louie Louie, where he received brilliant reviews from the Guardian and others. Bringing to the table a fresh touch and a light style of cooking, Oren’s food is modern Mediterranean with strong influences from the Middle East. Expect balanced flavours, with fresh herbs and olive oil used to complement the main ingredients. Highlight dishes on this five-course menu include warm crispy​ ​sea​ ​bass​ ​salad​ ​and​ ​smoked​ ​tomatoes,​ ​grilled​ ​squid​ ​pita​ ​with​ ​warm​ ​chickpeas​ ​and​ ​tahini and​ ​cardamom​ ​panna​ ​cotta​ ​with​ ​spiced​ ​quince​."